Your style icon status is secured with Mitchell. 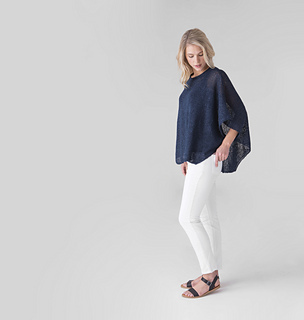 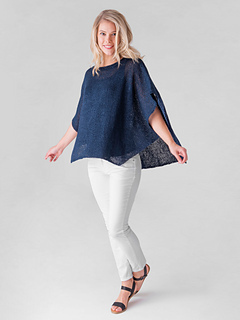 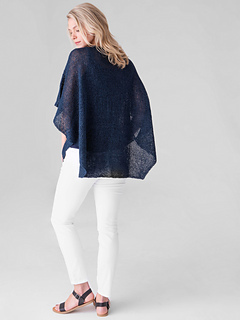 An architectural shape and high-low hem: the poncho with the major “it” factor. 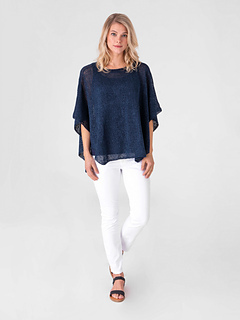 Mitchell features a high- low hemline and an angled cutaway shape. 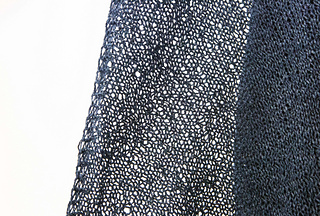 It is worked flat in two pieces from the bottom up with 1 strand of Vine in Stockinette stitch edged with garter stitch. 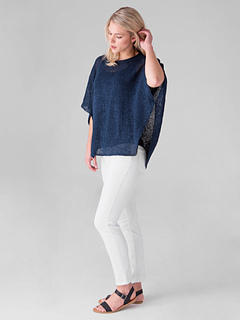 A stockinette collar is picked up from the neckline. 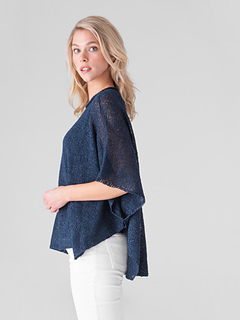 Sleeve openings are created by tacking the side edges together.